Located in the heart of the Inland Empire region of southern California, TO&A offers our Fontana Deposition Services. We can handle your deposition and litigation needs with efficiency and professionalism. 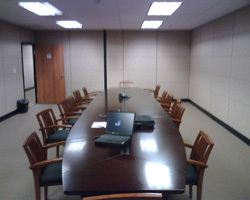 With fully a furnished conference/deposition room, this deposition center is perfect for the busy law firm. As always, our TO&A support team is available to provide exceptional litigation support services.